Since finding out I'm going to be a mumma I've been on the look out for a stylish changing bag that both the Mr and I will be happy carrying when out and about. Of course, along with the style requirement we need it to be able to hold all the essentials we need for on the go with the babba; not quite sure what all those essentials are yet but I'm sure i'll learn quickly!! Earlier this month Tots by SmartTrike asked whether they could send me a few baby related items to talk about on my blog; in the past I used to get excited over makeup, shoes and stationary, now its baby products that get me squeeking with excitement when the postman knocks on the door! 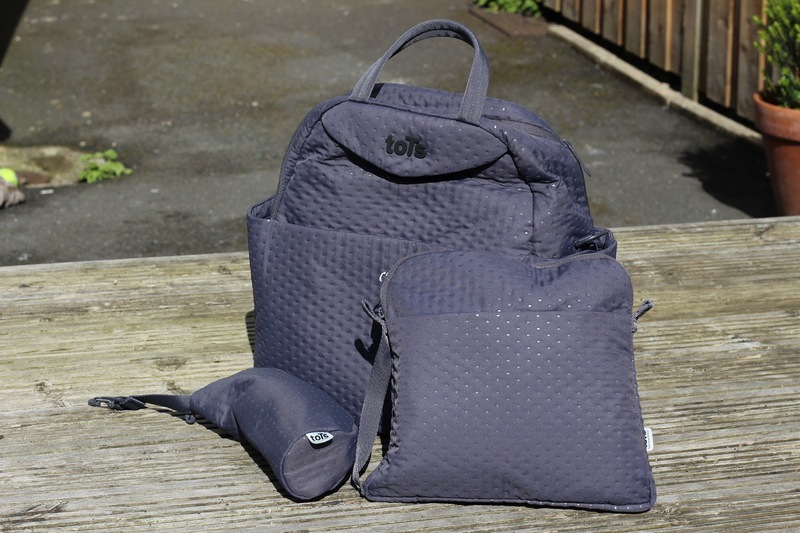 The travel system we've decided to go for doesn't come with a changing bag, its an additional extra to add it on, somewhere around the £50 I think, so having the offer of a Tots changing bag came at the right time! Aren't we lucky?! We chose the SmarTrike Infinity changing bag in quilted grey; for us it ticked the boxes of being able to be worn as a backpack along with having a long strap so that it can be worn over the shoulder or attached to the pram.The grey colour of this bag is so us, we have a full on obsession with grey and black baby things... poor child eh! 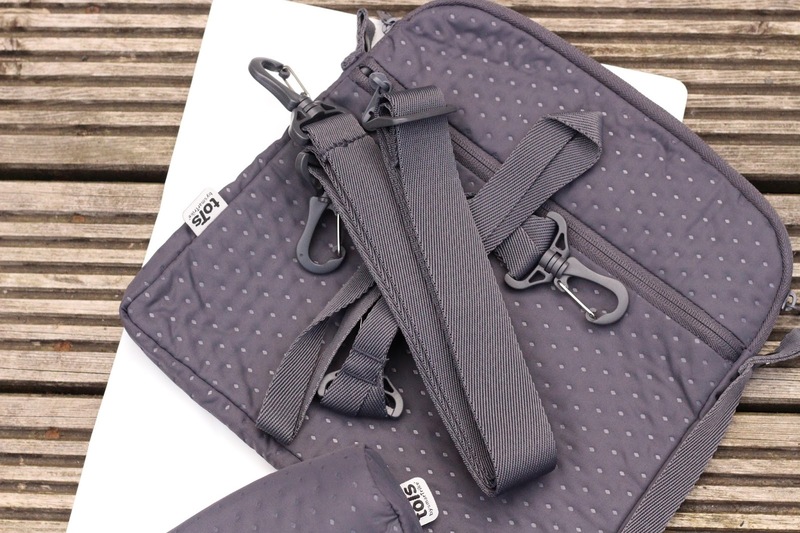 The simple grey colour will go with our black pram and is also easy to match with outfits; the Mr is a pure fashionista so this is an important factor to take into account I tell you. Inside the bag are lots of compartments for all your bits and pieces, keeping it all in order so that when in a rush to get a wet baby changed its simple to find everything you need. 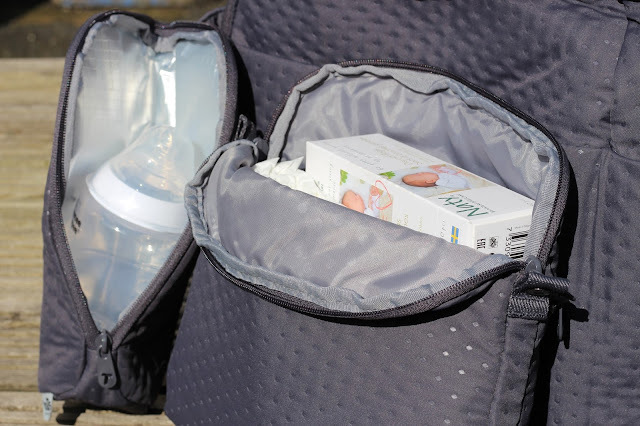 The bag also comes with 2 detachable pouches; one lined with silver stuff to keep your bottles insulated and the other pouch we've decided will be for nappies so when we are out and about we don't need to take the whole bag to the baby change room; just the inside pouch. The bag also comes with a handy fold-up changing mat and shoulder strap. We haven't packed the bag yet, I've only just put some Naty nappies, Naty nappy bags and some baby wipes in but I can tell this bag is going to be big enough for all the paraphernalia we will be taking with us on our days out. I've just noticed on the Smyths Toys website description that the bag has a water repellant coating all over it so no worries about the rain getting the nappies soggy before the baby does! 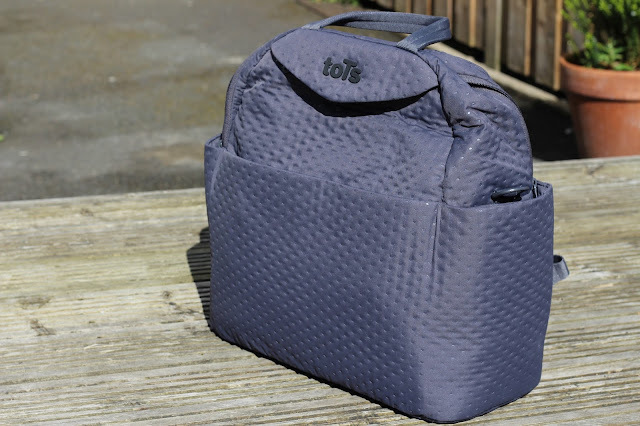 I'm so happy with this changing bag; I haven't seen many others whilst scouring the web that are as stylish and practical as this one. 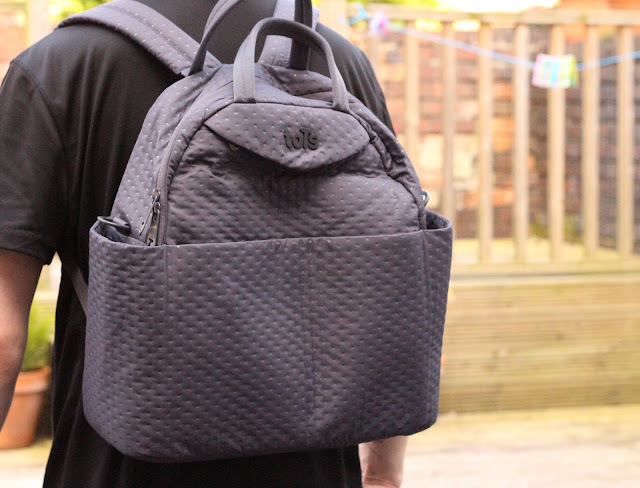 What do you think of the bag? You can find it over at Smyths Toys for £64.99- not the cheapest out there, but in my opinion its a lot more suitable for us than the one suggested to match our pram. 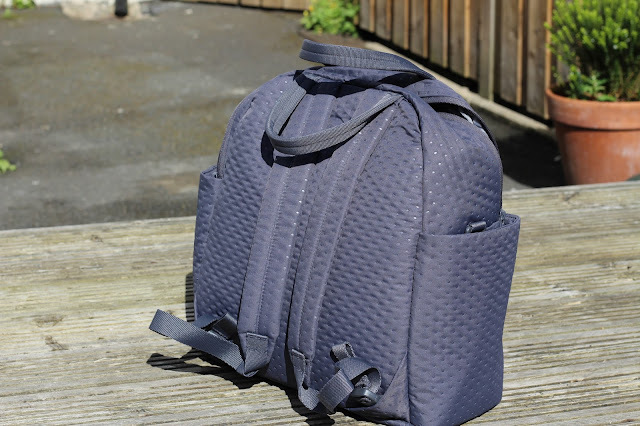 I can envisage this bag being with us for a long time, it will be great for when baby is little but also later on in life when we want to go for picnics or swimming due to the large size and timeless colour. Check out a this video to see how adaptable the bag can be, baby stuff by day, iPad's and makeup by night! toTs by smarTrike also do a lovely range of bedding and accessories over at Smyths Toys; I've got a few more bits to review later in the month so keep an eye out for them. Very handy bag that is just you guys too! Nice review. is that the dark grey colour? For years people have used fashion accessories to help accent their wardrobes. One of the best accessories that was ever created happens to be the handbag so you need accessories promo codes. Everything from jewelry to shoes have been made by various designers to make the perfect outfit gleam and stand out from all the others.